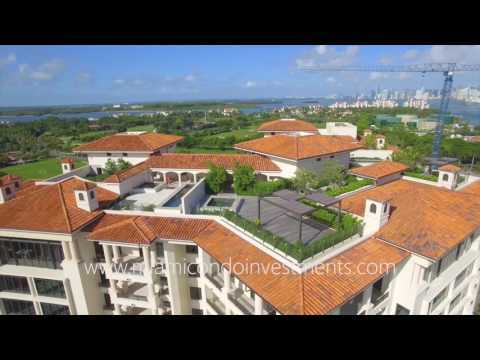 Palazzo Del Sol condos is Fisher’s Island newest and most luxurious residential development. A development team consisting of developer Fisher Island Holdings, acclaimed architect Kobi Karp, and internationally renowned landscape architect Enzo Enea came together to create Palazzo Del Sol condos on the exclusive Fisher Island. The luxurious interiors of Palazzo Del Sol were decorated by award-winning duo Alison Antrobus and Ruby Ramirez. Completed in 2016, Palazzo Del Sol condominiums has just 43 condo residences across 10 stories and is accessible by only ferry, yacht, helicopter, or seaplane. The amenities at Palazzo Del Sol include a covered waterfront entertainment lounge, zero-edge heated lap pool fronting Government Cut, exclusive “Central Park” with outdoor pavilions and kitchen for entertaining, fitness center designed by “The Wright Fit”, private massage rooms, hair and makeup salon, state-of-the-art movie theater, fur coat storage, children’s playroom designed by “Kidville”, meeting room for six to eight people with video conferencing capabilities and integrated media systems and underground parking for vehicles and golf carts. Residents of Palazzo Del Sol condos have access to the Vanderbilt Mansion and Pool, the island’s centerpiece and the Vanderbilt’s former mansion. The magnificent grounds are complete with a large saltwater pool. There is also a P.B. Dye championship golf course, a deep water marina that can accommodate vessels up to 250 feet, spa, and tennis courts. 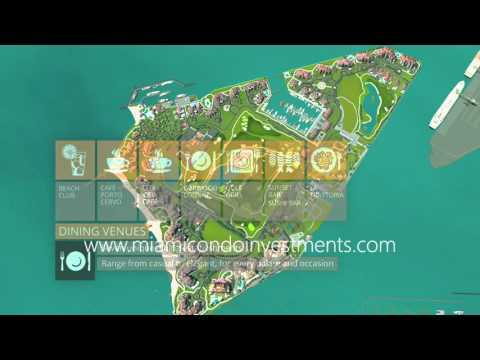 There is a selection of fine dining and a market on Fisher Island. Palazzo Del Sol condo residents can easily go from their private home on Fisher Island to the sizzling nightlife of South Beach, Ft. Lauderdale and Miami International Airport, executive airports, the Port of Miami, and world-class shopping at Aventura Mall.